When Wanda and I were just a young couple in our 20’s and early 30’s, we lived in the rapidly growing, economically robust culture of 1975-1990 Southern California. It was massive… full of upwardly mobile twenty and thirty-somethings. It was the center of pop culture shifts for the nation…and driven by the pursuit of expansion and social status. It was our home. As a young couple, we rejected status seeking and financial security, neither of which was consistent with our own upbringing. Instead, we dove into friendships. We fully invested in relationships and ministry. Our marriage was shaped by seeing it (our marriage) as serving a greater good. Marriage wasn’t simply for our own enjoyment, but the depth and character of our marriage was defined by sharing it with others. Don’t misunderstand…we loved our time alone. Date nights. Weekends away. Vacations with just the two of us…35 days of backpacking or camping alone one summer! But being alone was not the majority of our time. We had deep, meaningful relationships with dozens of people and healthy, regular friendships with dozens more. People we served. People who invested in us. We were always involved with small groups of students in weekly discipleship groups…and other youth workers that we not only shared ministry, but life, with. We were close enough with other couples to learn from their mistakes and receive their teaching and accountability. At any point in time during these years, we were involved in open and transparent friendships with 25-30, or sometimes more, other people (singles and couples) at the same time. For their good…as well as for ours. These were people who worked full-time jobs…owned homes…had children… had extended families…went to school…mowed their own lawns…managed households… and had personal goals and dreams. But we all, somehow, made time for things that were ultimately more important. We found our greatest joy and greatest challenges in these friendships. They were demanding. They were fun. They were complicated. They took time. We loved doing things together. We learned to view our time as not our own, but belonging to God…and we were simply stewards of it. Just like our money or our possessions. We helped each other when houses needed to be fixed or cars worked on. We ate together all the time. We played tons of sports with each other. Volleyball in the park or on the sand at the beach happened all the time. I played softball one night a week for nearly twenty straight years…and that always included going out for pizza afterward. Weeknight or weekend leagues…it didn’t matter. Being with friends fueled our lives…broadened our perspectives…taught us what was really important. And there was always room for new people. And it didn’t change once we had children. It defined our family life and gave our boys the greatest life experiences they could have ever had…and helped shape their character and values. From the moment our kids were born, they went with us. We lived our life and fit them in. I think we knew, instinctively, that there would come a time that their lives and schedules would take precedence over ours, so it was important…super important…that we create a lifestyle of total flexibility and people investment while they were babies and pre-schoolers, that would carry over into our family life once they started going to school. We packed light…and traveled lighter. We bathed them in ice chests in Mexico. They got held by hundreds of kids when they were babies. The whole youth group babysat them. They learned to eat whatever everybody else was eating. They seldom had a set bedtime. People were constantly in our house. Or we were going over to someone else’s house. People got to know us and our boys. We still have loads of people from those years who ask us about Chris and Corey. Our boys were always with other people. I am convinced that the primary reason both of them have always functioned well with adults, is because they lived their lives out around people who were older than they were. It was in the midst of all these deep friendships that they learned the value of conversation. This lifestyle was our choice. I’m not saying it wasn’t complicated and demanding, but we are deeper and better people because of it. Giving ourselves away to others for the good of the Kingdom became second nature for us. It was not only what we did…but who we became. But something has happened over the years. It’s all different now. Stay tuned for Part Two. Pay careful attention. It’s not pretty. So you wanted to be a parent? I was watching a TV show tonight, and one of the characters said, “I really want to be a dad.” That line got me thinking. It’s been 33 years since I became a dad. I don’t remember ever thinking “I really want to be a dad.” I’m pretty sure I was just caught up in the journey of growing up and becoming a dad was a natural step in the process. Now, after having our first kid, I definitely remember thinking, “Ok, I can do this again.” That’s really about it. It wasn’t until Chris and Corey began to carry on conversations and we could really interact as father and sons, that I started to embrace my identity as “dad”. Then, there was no turning back. Back to the TV show. Why would anybody want to be a dad? Or a mom? It is not uncommon to hear of women who dream of becoming mothers…even some who feel they will not be complete or whole unless they have a child. 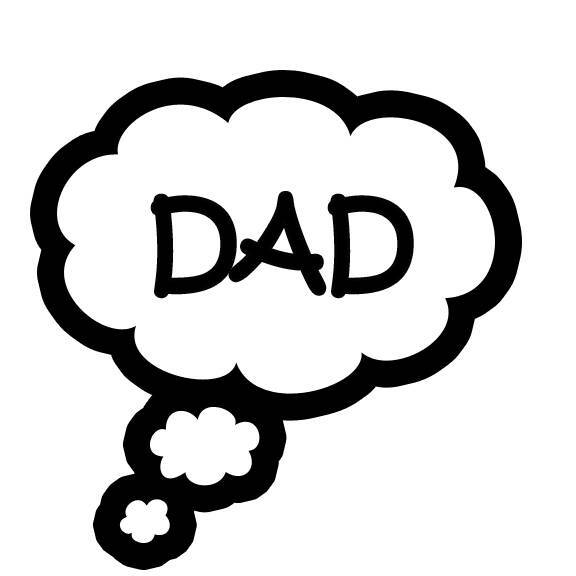 I have talked to men who desperately want to be dads…to have their manhood affirmed or to further the family line. Truth is, most people don’t give enough thought to being parents. What’s the goal of being a parent? To raise good, healthy, self-sufficient, productive, members of society? The world could definitely use a few more of those kinds of kids! And the world also its fair share of parents who are convinced their way of raising those kinds of kids is the “right” way to raise those kinds of kids…and they freely dispense advice to anybody in their way. But I’m not talking about parenting styles or choices or strategies. I’ll leave that to the new generation of know-it-alls. They’ll never be as smart as my generation of know-it-alls, anyway. No. I’m talking about something deeper. Something more primary. When I asked “What’s the goal of being a parent?”, I wasn’t asking anything about the how of parenting. I was asking about the why of parenting. Did you approach the decision of becoming a parent, because you were lacking something? Did you pursue becoming a mom or a dad, because you were searching for meaning or purpose or to fill a void? Were you trying to make a statement or prove something to yourself or somebody else? Were you trying to make your spouse happy or please your parents? Did your self-esteem need an injection of significance or worth? Look, this is not stone-throwing. All of us who are parents have to choose the path on which we will lead our kids. Parents need to be careful not to judge the style and choices of others, even while we are convinced our own way is superior (or else we wouldn’t do it that way, right?) But I am advocating for something deeper. For all of us. Examine your motives. What is it YOU are trying to get out of being a parent? Be deeply introspective and ruthlessly honest with yourself. This is harsh and you may not agree, but our kids were not designed to provide us with anything. There is no doubt we get a lot of unexpected and undeserved perks (like love and companionship and a personal work detail and a daily sense of purpose). But ultimately, they are not here for us. There was a time when I was a little younger that I offered advice on parenting more freely than I do these days. Now that I’m completely on the other side of being a parent, it’s pretty easy to look back and see how much I didn’t know…and how far short I fell of being the kind of dad I wanted to be. When my boys were young and really short, I wrote down goals for them…things I hoped they would learn, believe and become. I also had (and still have) goals for me as a dad, a husband, a pastor, a friend, and a follower of Christ. Those three sheets of paper (remember paper?) have always meant everything to me. If anybody is ever interested in what I’ve learned as a dad, I’m always willing to pass on what I know. But anymore, I usually wait until people ask, rather than dishing out unsolicited wisdom. Honestly, you gotta want it, if it’s going to do any good. BE THE PERSON YOU WANT YOUR KIDS TO BECOME. It’s both that simple and that difficult. Expecting them to become something you‘re not is hypocritical, unfair, and destined to fail. You have no guarantee of how your kids are going to turn out, no matter what the experts say. When they are young, your influence is great. As they grow into their teenage and college years, your words will not carry as much weight as they did in the early days…but your example will always be speaking. Take care of yourself. Be the man or woman who God is calling you to be. Give your kids a consistent picture of what you hope they will become. I promise you it will matter. No reason to get your undies in a bunch. If this post doesn’t apply to you, you know it. Just check it out and then think of somebody that does need to read it and pass it on to them. You never know what might make a difference. 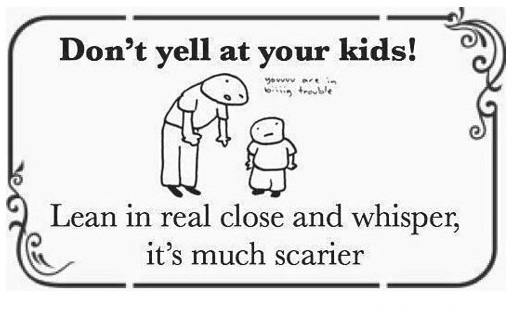 Everyday, I see parents who need help with their parenting. They don’t see the damage they are doing to their kids…how they are undermining their confidence or shielding them from the consequences of their decisions. They don’t recognize that what they are doing is enabling them and setting them up for failure later in life. They are not showing them how to live by faith…but they are showing them how to live by sight. The desire to see their kids grow up and be emotionally happy and financially successful far outweighs their ability, or even their willingness, to grow kids of spiritual depth. I wish they could see what I see. Everyday, I see couples who are struggling in their marriages. Oh, on the surface they appear to be fine, but they aren’t. They have settled for co-existence. They sleep in the same beds, but they don’t share hearts. Many of them are dreading the day their children to grow up and move out…not because they love their children that much…but because they are afraid there might be nothing to hold their relationship together after that day arrives. They carry around unresolved bitterness. They have bought the idea that if you ignore the problem, it will eventually go away. Talking is reserved for making decisions, not for building friendship. There may be sexual faithfulness, but they have found countless other ways to cheat. Everyday, I see people who’ve substituted “going to church” for following Jesus…people who’ve made the pursuit of personal happiness and contentment the goal. I see people who trust their gut and follow their heart, rather than knowing and trusting the Word. I see people whose first thought is justice, fairness, and self-preservation…even though the King calls his followers to act with compassion, mercy and self-sacrifice. I see people who are motivated by the fear of the wrath of God, instead of being captivated by his love and grace. And I wish they would ask for help. 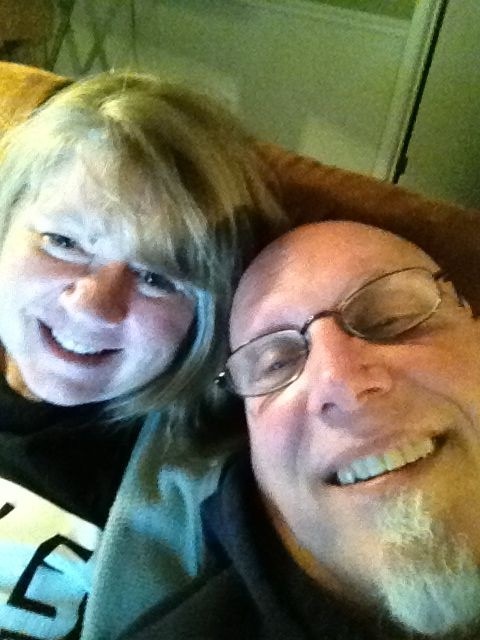 When Wanda and I were young…young married…young parents…young disciples…we wore out the path to others for advice. We read books. We went to conferences and retreats. We sought the counsel of older, wiser mentors. We would have never acted like we knew it all or had our acts together. It was painfully obvious we didn’t. And it would have been pointless to hide it. I’m glad we grew up when we did…around the people we did…getting the loving input we did. But times have definitely changed. Seeking the wisdom and help of others is no longer the great treasure it used to be. I’ve been kind of bugged lately. Not the stuff that pushes me to full-blown depression, but definitely enough to keep my mind and heart pre-occupied most days. I’ve grown weary…deeply weary…of reading about abusive church leaders. About pastors who live opulent lifestyles. About theological wars between Bible teachers and the churches they lead. About affairs and divorces and toxic relationships of those who claim a calling to shepherd. I’m sick and tired of how ministers are portrayed in the media, because much of it is deserved. My frustration with celebrity preachers and pastor-worship is at an all-time high. Stories of power and politics and judgment and immorality seems to be everywhere in my leadership corner of the ecclesiastical world. Sometimes, I’m just plain embarrassed to be part of the fraternity. It’s a shame. I feel with all the posturing and flexing and middle school locker room antics that goes on among the spiritual power brokers in the church, the point is simply being missed. We are here to serve and love. We can do that in a lot of ways. Teaching. Shepherding. Leading. But always as a servant. Over the years as the lead sheepherder of my church family, I’ve come to see my job is more like good parenting than being the boss, the chief authority figure, or even the lead dog. I’m not abdicating responsibility…I’m just choosing to redefine it. A goal of good parenting is to raise children that are strong and independent. Sometimes I think pastors are deliberately raising people who are dependent on their teaching…dependent on their priestly postition…dependent on their approval…dependent on their blessing. Teaching, approval and blessing are generally good things, but not when it breeds co-dependance. Another goal of good parenting is to create an atmosphere of exploration and questioning. Yeah, we spoon feed five-year-olds the “right” answers. But we can’t do that when they’re teenagers. That’s what produces rebellion. I’m afraid much of the rebellion we see in the church is related to the lack of space for questioning and the affirmation of doubt as a positive part of the faith process. Good parents are not frightened by their children becoming different than they are. I think deep inside, most parents want their kids to grow up with similar goals and tastes…but most of the time, it doesn’t happen. Just like parents need to let their kids grow up and march to their own drum, good shepherding in the church is much the same. We are not in the business of cloning people. We all are reading the same book, but we don’t all understand it the same way. (Witness the thousands of different denominations.) I’m pretty sure we ought to tolerate a little variance in our own church families, don’t you think? Isn’t that what love does? And speaking of love, the church must learn to welcome and love all kinds. We need to point them to Jesus and let his words and counsel (Holy Spirit) take up residence in their hearts and minds…on his timetable, not ours. We need to learn patience. We need to practice grace. We need to give people room to grow and learn and develop at their own speed…and enjoy the ride. And, oh yeah…make mistakes and still get hugged anyway. We need to leave the heavy-handed approach to behavior modification to Gitmo. We don’t need it in our families.